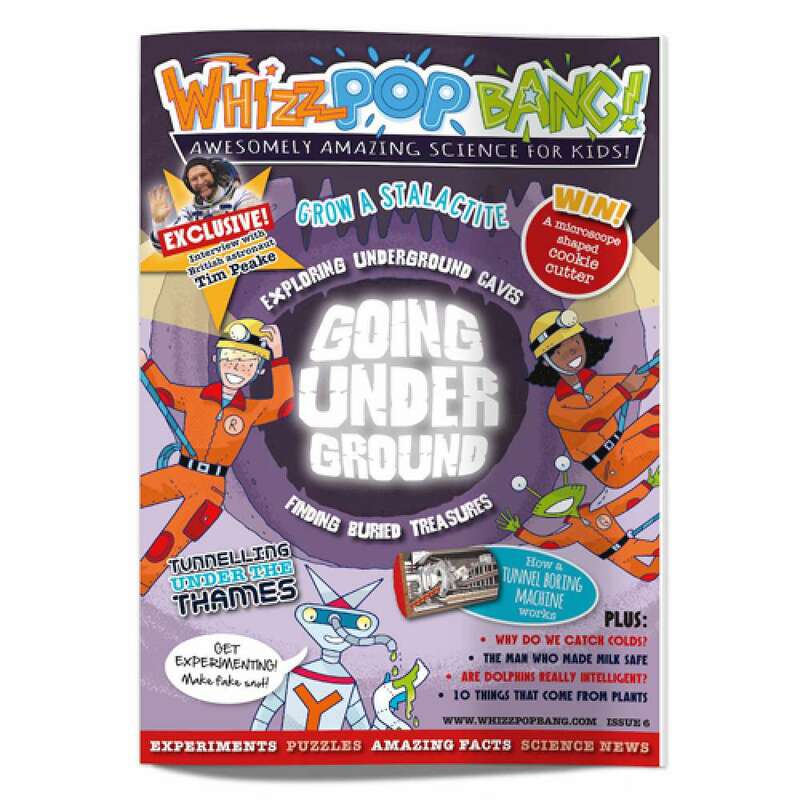 We've been digging underground this issue to explore the strange, dark and mysterious underground world of caves. 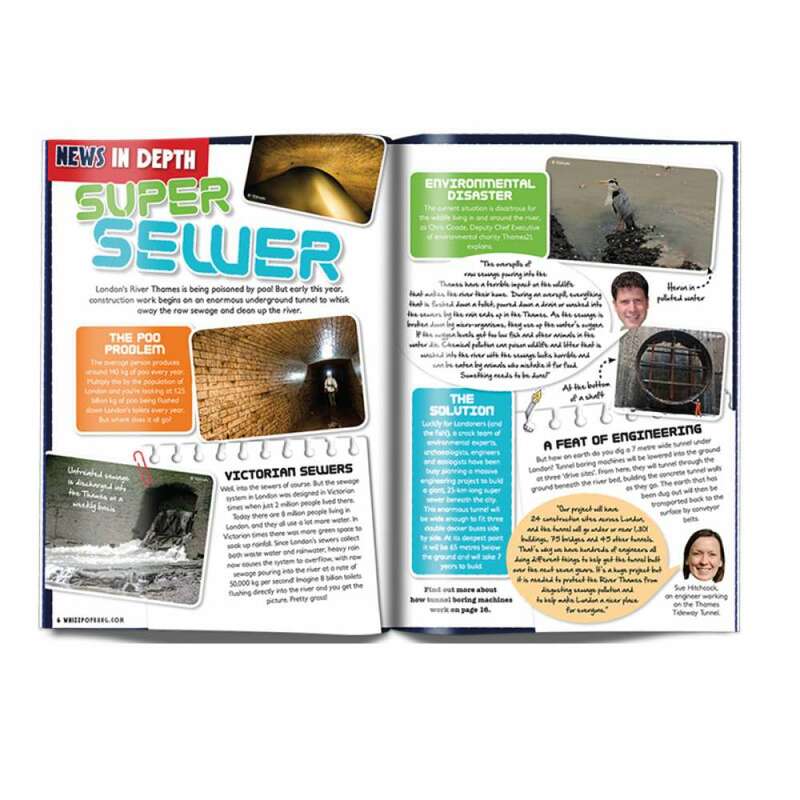 We also look at how tunnel boring machines work and find out what life might have been like for our ancient ancestors as we discover the science of archaeology. 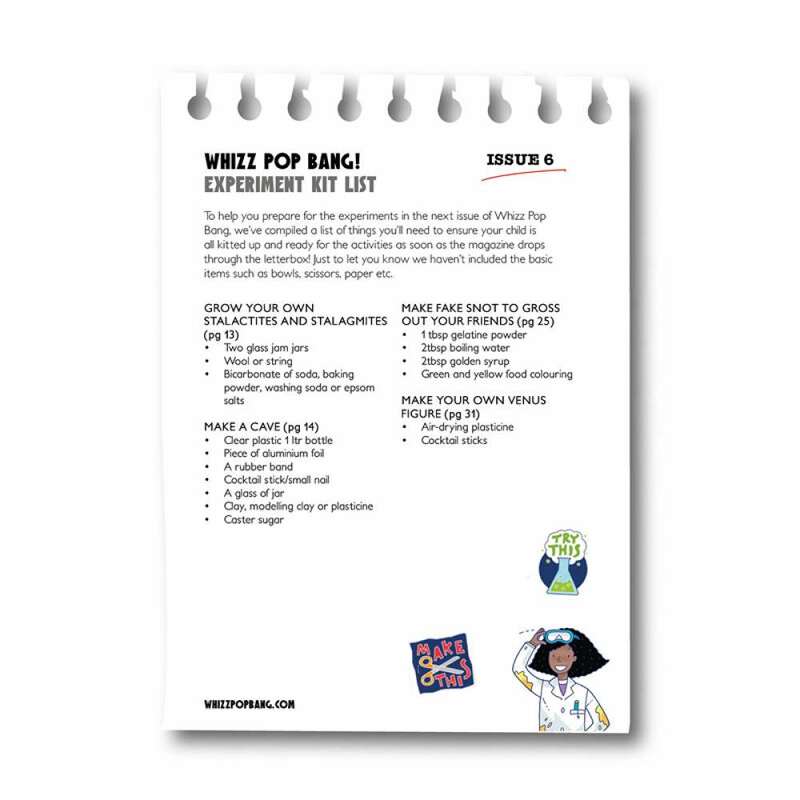 We've also got features on colds (including making your own fake snot! ), dolphins, the incredible life story of Louis Pasteur, and we even found time to put Whizz Pop Bang readers' questions to British ESA astronaut, Tim Peake before he blasted off for the International Space Station. Get your copy now!